Billet 7075 alloy windowed camshaft plug Yamaha SR500, XT500, & TT500. 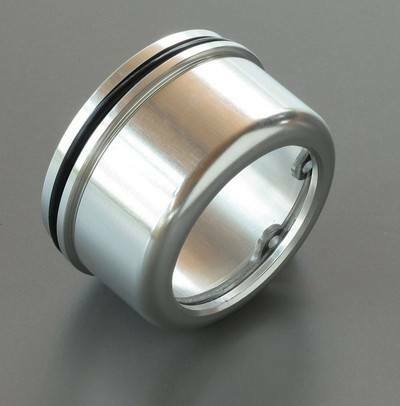 This windowed camshaft plug is machined from a solid piece of 7075 billet aluminum alloy and features a large acrylic window, allowing observation of the spinning camshaft. Suitable for the Yamaha SR500, SR400, XT500, & TT500. The acrylic window is secured with a circlip and rubber o-ring.